There are so many lessons we strive to teach our children, but we sometimes struggle to remember messages. So how do we practice justice and fairness, and strive to eliminate hatred and prejudice based on the teachings of Judaism? It’s a pretty tall order. How do we teach our children and ourselves? We do so through our texts and by our example. Fairness is a word that is really about justice (mishpat in Hebrew). Judaism has the message of justice deeply implanted in the spirit of Jewish life. The Torah and commentaries are filled with laws and examples of how to make a fair judgment and the importance of being fair and just. Do you think it is fair that older children get to stay up later and do more things than younger children? Why or why not? Do you think it is fair that boys get to do things that girls don’t get to do? Why or why not? Some families have a rule that if there is a piece of cake to share, one person gets to cut it and the other gets to choose the first piece. How is this a fair way to divide the cake? Can this system be used in other areas? A conjunction of the publication in TJP’s recent special wedding section of a piece on the history of “Hava Nagila” and several appearances by Eliezra Ben Yehuda, granddaughter of the man who brought Hebrew back from antiquity to the modern language it is today, turned me toward “Hatikvah,” the national anthem of Israel. We all sing it. But where did it come from? Today, it’s easy to search a lot of sources for the song’s history, which is what I’ve done. It was originally a poem titled “Tikvatenu” (Our Hope), written in 1878 by Naftali Herz Imber, a Jew from what is now Ukraine. He first published it in his 1886 poetry collection called “Barkai” (Shining Morning Star), the name of an early kibbutz in Palestine, and it’s believed his inspiration was the founding of Petach Tikvah (Gateway of Hope). Gloriously enough, the same music also appealed to the Bohemian composer Bedrich Smetana, who used it for one movement in his composition “Ma Vlast” (My Country). Symphony-goers recognize this today as “The Moldau,” and Jews often believe, in error, that “Hatikvah” was its inspiration. Not so. But neither was “The Moldau” the inspiration for “Hatikvah,” which some other Jews believe. In 1898, a first competition was held for a Zionist national anthem (certainly not for an Israeli anthem that early on), and one of the leading entries was “Shir Ha-Ma’alot” (The Song of Ascents), which we easily recognize now as the introduction to our benching after Shabbat and holiday meals. The final verse reads “Hear, brothers mine, where e’re ye be this truth by prophet won/Tis then our Hope shall cease to be with Israel’s last son.” The same optimistic chorus is its conclusion. Postscripts: There was never a copyright on the old melody that became “Hatikvah,” so Samuel Cohen never received any recognized credit for its music. Imber died in 1909 in New York. Five years after its founding, the State of Israel disinterred his remains and re-buried them in Mount Herzl Cemetery in Jerusalem. “Hatikvah” moved unofficially from Zionist to Israeli anthem status as soon as the new state was established in 1948. But it surprised me to learn that it didn’t become official until November 2004, when the Knesset amended the nation’s Flag and Coat-of-Arms Law to make it the Flag, Coat-of-Arms, and National Anthem Law. That flag, of course, is as it’s been since Israel’s founding: the blue star that Imber referenced as “David’s banner” in his hopeful chorus. However, “Hatikvah’s” words of hope underwent an immediate, positive change reflecting fulfillment at the time of Israel’s founding. I’m old enough to remember singing the old version. How many of you can also claim that? I’ve always wondered why the holiday of Purim was given the name that it has. The “pur” in the Book of Esther was simply the name of the lottery used to decide which date Haman would carry out his decree. Why would the entire holiday be named after this secondary thought? The “pur,” or lottery, mentioned in the Book of Esther is the lot the wicked Haman cast to establish which date to initiate the first “final solution” to annihilate the entire Jewish people. This seems to convey a sense of happenstance to all that transpired throughout the Purim story. Is this indeed the case? I will answer the questions in the classical Jewish way: with a question. When studying the Book of Esther, one is faced by a question: All but one book of the Tanach regularly mentions God’s name. The only book that doesn’t is the Book of Esther. How is it that the very book that relates the great miracle of the Jews’ redemption from the Persian-Median exile doesn’t mention the name of God even once? “There once was a king who had only one son whom he loved greatly and showered with many gifts. As he grew, so grew his haughtiness, and so grew many of the king’s court to hate him, just awaiting the day they could “take care” of the haughty prince once and for all. “One day the prince’s haughtiness got the better of him and out of anger actually slapped his father the king in the face. At that point the king realized that he must do something very drastic to teach his beloved son a lesson. He will banish him to the dangerous forest for a while and there he will hopefully repent for his folly. Realizing the danger, the king called his closest aids and commanded them to protect his son from all his enemies. They must not, however, reveal themselves to him. His father’s love for him was so great that he’s keeping him alive despite his rebellious act. His banishment to the forest was only to teach him a lesson. The son’s love and admiration for his father grew much greater than all the time he was in the palace, for he finally appreciated the depth of the king’s love for him. With that realization the prince fully repented, asked forgiveness and returned home. The Jews were exiled into the dangerous forest of the Persian-Median, where our enemies surrounded us because we “slapped” our father, the King, in the face by serving idols and committing other serious transgression. Haman issued a decree to destroy us. God remained in hiding. He wanted to give us a chance to repent and see His love and protection, showing His love for us even at our time of rebellion. That is why the name of God does not appear in the Book of Esther; the story transpired in a manner that saw no open miracles. There was a revelation every time God’s name is mentioned in the Tanach at that point. This was absent in the story of Purim. The Jews in the Purim story began to notice many coincidences that led to their redemption. When they realized that these coincidences could not happen by chance, they deeply sensed and realized God’s love for them even in their degradation and repented with a full heart out of love. They then were returned to the palace, to Israel, to rebuild the Temple. This is the meaning of the Talmudic statement when the sages searched for a hint for the Purim story and Esther in the Torah, and cited the verse “behold I will surely hide My Face on that day,” (Deut. 31:18). The words “surely hide” in Hebrew are “haster astir,” the second word having the exact spelling as the name Esther. Says the Vilna Gaon, the meaning of the Talmud’s question and answer are: how do we know that even at the time of “hester” (God’s being hidden) there still can be an “Esther,” a redemption! The holiday is called “Purim” by name of the “pur,” the lottery. A lottery looks like it is being drawn by chance. The redemption came through the “pur” lottery to punctuate our realization that there is no “chance” in this world; the almighty is always present and in control of our matters behind the scenes. Purim is considered to be one of the most enjoyable and fun Jewish holidays, as it commemorates a time when the Jewish people living in Persia were saved from extermination. It signifies a thankful and joyous affirmation of Jewish survival. Purim, which begins at sundown Saturday, is similar to Halloween in that it has become a holiday that’s celebrated in America and features dressing up and eating sweets. But the two have very different meanings. On Halloween, we ask people for candy, while Purim sees us making hamantaschen and offering people shalach manot baskets, he added. Children like Halloween because they get to eat candy and dress up, and Purim can be just like that or even better, according to Congregation Shearith Israel associate Rabbi David Singer. Letting loose, dressing up and having fun is what makes Purim unique and something everyone can enjoy, he said. “Purim is about celebrating all that is great about being Jewish,” Singer said. “By dressing up, we hide ourselves and the concerns of the day and enter into the world of fantasy. It’s a time to become someone else and pretending we can be royalty, just like Esther did. It’s a way of letting go. We need a time to let go, and that’s what Purim is about. Purim is one month and one day before Passover, Singer said, so it’s also seen as a way to have fun before celebrating a holiday that is much more serious. A more religious reason people dress up for Purim deals with the fact that God was hiding himself in the story of Esther and we hide behind our customers, said Rabbi Menachem Block of Chabad of Plano/Collin County. By having the Jewish people dress up, it also allows God to dress up, he said. Purim is a time when we are commanded to eat, drink and be merry. A person is required to drink until they cannot tell the difference between Haman and Mordechai, according to the Talmud. Various Purim celebrations around town this weekend have open bars, and the best way to enjoy the holiday and still have fun is to be conscious of how much you drink. The best thing to do is exercise caution when drinking, just as you would while going out and having drinks with friends, said Rabbi Ben Sternman of Congregation Adat Chaverim. The event will begin with children’s activities such as mask and jewelry making, soccer kick, Haman can toss and a duck pond. An adults-only wine and cheese reception with comedy by Ed Brant will follow. The evening will conclude with a free congregational dinner and “A Very Disney Purim” shpiel with the story of Esther told through the music of Disney productions. A Megillah reading will be followed by a pasta and salad dinner and “When you Wish Upon a Shpiel” Purim story. Cost for dinner is $10 for adults, $5 per children or $30 maximum for families. Reservation required for dinner and payment is registration. Congregation Ner Tamid will have an evening with the movie “Queen Esther,” followed by Havdallah and Megillah reading. Participants are asked to bring their own dairy dinner. Event will take place at home of Cantor Patti Turner; please call for address. Hear the story of Esther through the voice of the “Real King.” A Memphis-style barbecue dinner will be served. Presented by the Congregation Beth Shalom Players. RSVP is required. The evening will include a parade and costume contest, an original Purim shpiel starring religious school students and adults, hamantaschen and more. Event is free and open to the community. Join Tiferet Israel for a Megillah reading, followed by a Purim carnival that will include a children’s costume parade, bounce house, obstacle course, face painter, Israeli music and hamantaschen. There will be beverages, nosh and live entertainment available for adults as well in Vashti’s Lounge. Costumes are optional for this adults-only Purim party that will include a catered dinner, dancing to the music of The Schmaltzy Three, comedy and more. Cost is $15 per person and baby-sitting will be provided. Guests are asked to BYOB and bring a donation for the Tarrant Area Food Bank. Reservations are required. There will be an evening service and Megillah reading, followed by a reception with a children’s costume parade and entertainment. A program by Mad Science will include the Purim story, magic, science tricks, hamantaschen and groggers. Event is free and open to the community. Congregation Shearith Israel will host an adult Purim celebration with a Megillah reading, a performance by Locked Out Comedy, entertainment by R and R Band, food and drinks. A movie will also be provided for children ages 4-10. Dinner will be followed by a musical shpiel and an evening of classic rock. Cost is $10 per person and costumes are encouraged. Evening is geared for adults. The event will begin with Havdallah, followed by the Megillah reading, a “song of Purim” parody and adult karaoke with food and drinks. Babysitting will be available. Adults in the community are invited to celebrate Purim with wine and sushi, a Megillah reading and entertainment. Cost is $20 per person and sponsorships are available. Event is presented by the Chabad Jewish Center of DFW-Mid Cities. The theme for this third annual event is “Super Purim,” and guests are asked to dress up like their favorite super hero. Cost is $12 per person for Hazak members and $18 per person for others. RSVP required. 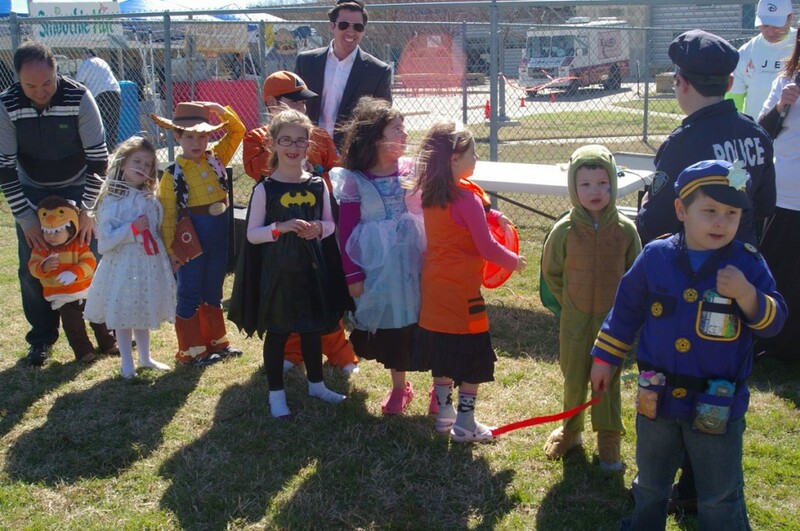 The Sephardic Torah Center of Dallas will host its second annual Purim event. Guests are asked to come in costume and there will be prizes for the best one. Cost for dinner is $10 per adult and $5 per child ages 4-10. RSVP is required. Join the Temple Emanu-El Young Adults group for a Purim celebration with sushi and karaoke. Costumes are encouraged and prizes will be awarded for best karaoke, geisha and samurai. Cost is $15 in advance and $25 at the door and that price includes sushi, karaoke and an open bar. The Intown Chabad will host its eighth annual Purim party. The event this year is ’80s themed and ’80s cover band The Spazmatics, will provide entertainment. Guests are asked to dressed in ’80s gear. The evening will also include interactive Megillah readings and an open bar. Tickets cost $25 in advance and $45 at the door; VIP tickets are also available of $45 in advance and $65 at the door. Come dressed as your favorite superhero for an evening with Makom, the young adults group of Congregation Shearith Israel. There will be an open bar and music by Alex and Mike Molayem. Advance tickets are $25 and $35 at the door. Tiferet Israel will have a Megillah reading, followed by a Purim carnival that will include a children’s costume parade, bounce house, obstacle course, face painter, Israeli music and hamantaschen. There will be beverages, nosh and live entertainment available for adults as well in Vashti’s Lounge. The celebration will kick off with minyan and a Megillah reading, followed by a Purim shpiel and carnival. Race to Shushan, knock down the Hamanyata, make Queen Esther some jewelry and many more games and crafts. Activities for the day include a traditional and interactive Megillah reading, a petting zoo, face painting, a game truck arcade and a family concert with R and R band. Hot dogs, hamantaschen and drinks will also be served. A PowerPoint Megillah reading and children’s activities will highlight the morning. Everyone is encouraged to come in costume. The Purim Shpiel will kick off the morning, followed by the carnival that will feature games, bounce houses and food; everyone is encouraged to come in costume. Cost is $10 for non-member religious school students. Those who are members get in for free, plus 15 game tickets. Hot dogs, beverages and chips will be available for purchase during this event. Celebration will include a congregational lunch, adult Purim brunch and children’s carnival games and face painting. Cost for the lunch is $10 for adults and $5 for children ages 10 and younger; brunch, which includes mimosas, is $15 per person. Registration required for both events. Young professionals will join for a Megillah reading and brunch, then deliver mishloach manot packages to a Holocaust survivor or elderly in the community. Event is free. 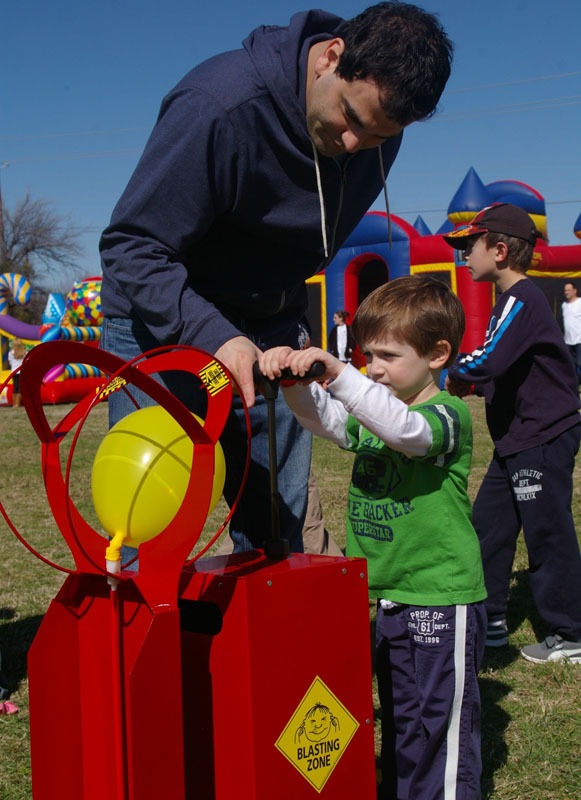 Carnival will feature bounce houses, ponies, face painting and much more. A lunch of a hot dog or black bean burger with fries and a drink is available for $5. Carnival tickets are 25 cents each, or 25 tickets for $5. Event is sponsored by the Jewish Federation of Fort Worth and Tarrant County with financial assistance from the Dan Danciger/Fort Worth Hebrew Day School supporting foundation and supported by Beth-El Congregation, Congregation Ahavath Sholom, Congregation Beth Israel, Congregation Beth Shalom and Chabad of Fort Worth/Tarrant County. Events for children include a Megillah reading, “learning tower of pizza” contest, and mishloach manot baskets, and separate Megillah reading, wine bar, Italian dinner and mad science show will be available for adults. Event is free, but RSVP is required. Join DATA of Plano for a Texas-style dinner, games, face painting, a children’s costume parade, adult costume competition and more. Cost is $25 per adult and $7 per child in advance and $30 per adult and $9 per child at the door; guests are asked to BYOB. Tiferet Israel will have its annual Purim Persian feast. Cost is $15 for adults, $5 for children under 13 and free for children under 3; $40 maximum for immediate family. RSVP required. The event will feature food, a Megillah reading and a masquerade. Cost is $18 per adult and $10 for children; sponsorships are also available. Registration required. Chabad of Dallas will have a Megillah reading, Purim jungle feast and special jungle show. Prizes will be awarded to those dressed in costumes. Cost is $25 for adults and $10 for children; sponsorships are available. RSVP required. Chabad of Fort Worth will host a Korean-style dinner prepared by chef Shinran Blostein. Cost is $18 for adults and $9 for children. RSVP required. Congregation Nishmat Am will have a Purim dinner for the entire family. Cost is $18 for adults, $10 for children ages 5-16 and children ages 1-5 are free. Seating is limited, so RSVP is required. Dinner will be followed by a concert for children with musical guest Howie Kahn. Event is open to the community, please call for price and reservations. Peter Goldstein, licensed architect and educator at Dallas’ Skyline High School, received a Distinguished Fulbright Award in Teaching grant, and he will be one of 20 U.S. citizens going abroad through this program during the current academic year. He will study at the University of Cape Town, South Africa, while working with high school students there to map the architectural, historical and topographical features of their home city. “Mapping a Sense of Place” is the name of Goldstein’s South African project. Through it, “I hope to open doors for students into the architecture and design professions, and encourage understanding of the diverse and multi-cultural cities of today’s world,” he said. After returning, Goldstein hopes to use his model to promote the mutual understanding of culture and place in Dallas. Goldstein’s wife and son will travel with him. The family lives near White Rock Lake in Dallas; Michelle Brodsky Goldstein’s business, Goldstein Financial Future, is also located in the city. “Because my world is financial planning grounded in U.S. law and taxation, I won’t be able to work with South Africans,” she said, but she will continue to serve existing clients using email and Skype. She will also take a leave of absence from her current position, shared with Staci Mankoff, as vice president of financial development for the Dallas Section of the National Council of Jewish Women. Son Zachary Sol Goldstein, 8, will attend Term 2, roughly third grade, in Cape Town’s Reddam House School. The three Goldsteins will leave Dallas March 11. They’ll return four months later. The Fulbright Program is sponsored by the U.S. government as an international educational exchange designed to increase mutual understanding with people of other countries. 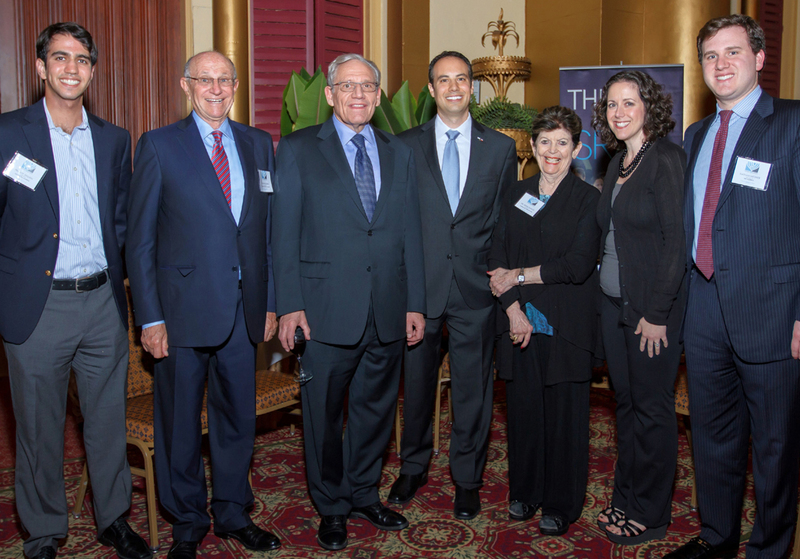 Congratulations to the Goldsteins, and thanks to Harriet Gross for sharing the details of the award. Allen Pearlman has reached the Life Master milestone, the highest ranking within the American Contract Bridge League, based on masterpoints. Pearlman went over the top (more than 300 masterpoints) on Dec. 31, playing with frequent partner Marv Migdol. They were first overall in a special afternoon session, racking up 3.2 master points. Bridge is actually Allen’s No. 2 hobby. No. 1 is model railroading. 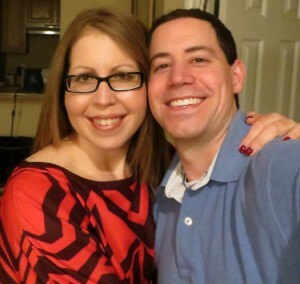 Allen is married to Marilyn, and they’re long-time residents of Far North Dallas. A native of Brooklyn, he became a pharmacist before going to medical school. The Pearlmans are members of Temple Shalom and The Joker’s havurah. A bridge party honoring Allen will take place from 11:30 a.m.-12:30 p.m. on Wednesday, Feb. 20 at Bridge Academy of North Dallas, 12250 Inwood Road in Dallas. The lunch buffet will be followed by bridge at 12:30 for those who want to stay and play. Congratulations to Aaron Moss, son of Mike Moss and Jill Chastens, who signed a national letter of intent to play football with Henderson State University on Feb. 6, National Signing Day. Aaron has played linebacker and strong safety for the JJ Pearce mustangs. He totaled 90 tackles last season at J.J. Pearce High School, including 38 unassisted tackles and four tackles for lost yardage. An all-District 9-5A selection, Aaron earned Defensive Player of the Week honors three times in 2012. Henderson State is a public liberal arts university located in Arkadelphia, Ark. The Reddies compete in NCAA Division II Great American Conference. Added congratulations to Mesorah High School for Girls senior Keren Moyal, daughter of Rabbi David and Irit Moyal of Dallas, who was named one of Texas’ 10 distinguished finalists by the Prudential Spirit of Community Awards, a national program honoring middle level and high school students for outstanding volunteer service. Keren raised $10,000 by recording two inspirational music CDs to support Camp Simcha at Chai Lifeline, a summer camp for children struggling with life-threatening illnesses. Keren, who was inspired by her outreach with a young leukemia patient, Bekkie Floriana, also worked with Chai Lifeline to implement “Project Together,” a national program to match teenagers to young children struggling with their illnesses as a way to provide comfort and companionship. Next year, Keren plans to attend a seminar in Jerusalem, (Machon Raaya), and then continue her college education, hopefully at Touro College in New York City. As a distinguished finalist, Keren received an engraved bronze medallion. Everything is a story. This week, mine begins with happiness: I’ve become a great-grandma for the second time. Andrew Robert has joined his cousin, Alexander James, as the first representatives of our family’s next generation. We are incredibly lucky to be a five-generation family; my mother was the oldest of 12, and her youngest brother is, happily, alive and well at 90. The newbies are his great-great-great nephews. And now, thanks to a second daughter, he is grandfather to “Gingy,” who was nicknamed — Israeli-style — immediately after birth because of his flaming red hair. Redheads run in our family, at least one per generation, but no redhead has ever had a redhead. When my carrot-top grandson Ben was born, my daughter and I sat down together and mapped out a tree of the family “gingys.” We wound up sliding off our chairs and rolling on the floor with laughter. When my son graduated from high school, I wrote a column for our local newspaper that remains one of the best things I’ve ever done. In it, I talked about how frightening it was to be the mother of a first child — how much there was to learn, how hard it was to cope with the inevitable illnesses and injuries, how difficult it sometimes was to control waves of anger at “unacceptable” behaviors. I read this to him first, asked his permission to publish it and listened carefully to his response, which was “What can I say?” I sent a copy to him when his own first child graduated from high school. I’m hoping now that he’s already passed on copies to his two older daughters, the mothers of his two grandsons — the mothers of my two great-grandsons. I don’t know. I never had a third child; just my firstborn son and then his sister. My daughter’s two boys are so different from each other that it’s difficult to believe they were born to the same parents, grew up in the same house, sat around the same table eating the same food. Differences aren’t always spotted as early as red hair, but inevitably, they emerge. The new cousins, Lex and Gingy, will grow up near each other, celebrating holidays and all special occasions together. I hope to be granted the years to see what their futures turn out to be — to be as astounded as I’ve been by my son and his three daughters, by my daughter and her two sons. They are the sources of my stories, the pages in the story of my life. And what are any of us if not our stories? As you read this week’s column, you’re no doubt thinking about a special holiday, one in which love triumphs over all and sweets are presented — and consumed — in mass quantities. We all know the story of how good triumphs over evil, as Queen Esther begs King Ahasuerus to hold back Haman’s desire to kill the Jews in 4th century Persia. We all know the story — but each year, we’re commanded to listen to the Megillah, the Book of Esther. This year, Purim begins on Feb. 23, a Saturday evening, and there are plenty of activities throughout the area to help us fulfill this mitzvah. These range from kid-friendly Purim shpiels and carnivals (complete with costume parades) to adult-only celebrations where, according to halachich law, it’s OK to drink to excess. If you do so, however, be sure you’re not driving. The point here is that Tarrant County Jewish organizations are offering a lot of opportunities to listen to the Megillah and to celebrate the good-versus-evil tale that doesn’t grow old with the retelling. Check out the calendar at www.tjpnews.com for more information on when, where and what. Heartfelt congratulations go to Cantor Shoshana Abrams of Congregation Ahavath Sholom, who is engaged to Mordecai Kaikov, son of Miriam “Mimi” and Roni Kaikov. Mordecai Kaikov, son of Miriam and Roni Kaikov, got down on bended knee on Groundhog Day to propose to Shoshana Abrams, cantor at Congregation Ahavath Sholom. More details will be forthcoming. This is wonderful news for all concerned, and we’ll look forward to learning an official wedding date. … the partying doesn’t stop. On Saturday, March 3, Congregation Ahavath Sholom is hosting its own birthday bash — 120 years, to be precise. This will takes place at the synagogue at 4050 S. Hulen in Fort Worth. The evening will begin at 7 p.m. with Havdallah and continue through a party consisting of dancing, silent and live auctions, gaming for prizes and lots and lots of food. Money raised from the event will benefit the Legacy Fund for the continuation of youth education, among other things. The event is free to members and $60 per person for non-members. To purchase tickets and make reservations for the anniversary gala, contact Ahavath Sholom at 817-731-4721 or info@ahavathsholom.org. Sixty years ago, the preschool now known as the Lil Goldman Early Learning Center opened, becoming Fort Worth’s first preschool. 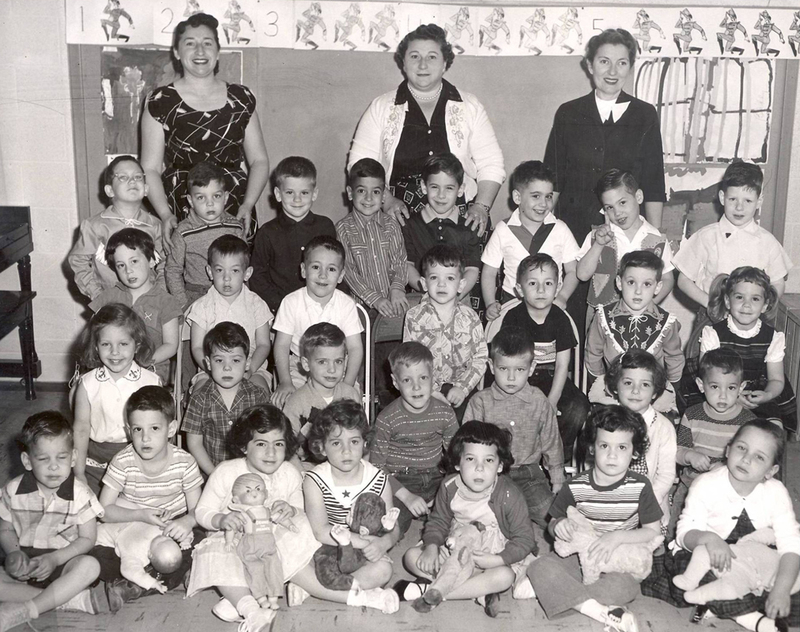 At the time, the preschool had six students, one teacher and tuition of $12 a month — and it occupied a room at Congregation Ahavath Sholom’s Myrtle Street synagogue. These days, the Lil Goldman Early Learning Center fills an entire wing at the synagogue, has an enrollment of 92 children, employs a staff of 19 and has an annual budget of $800,000. A new commemorative exhibit at CAS celebrating the preschool’s 60 years includes class photos from each decade (including the one on page 8) and a plaster handprint made by CAS’ current president, Murray Cohen, when he was a preschooler in the 1950s. The exhibit is organized by the Fort Worth Jewish Archives, with research provided by Hannah Klein and Joe Klein and arrangements made by Diana Krompass and Hollace Weiner. Additional thanks go to Hollace for supplying the information and photo as well. Or rather, a panel presentation titled “Biblical Influences on Modern Synagogue Art and Architecture,” which takes place at 6:30 p.m. Thursday, March 7 at CAS, 4050 S. Hulen in Fort Worth. The panelists — noted architects David R. Stanford, Gary M. Cunningham and Lynn Milstone — will speak about synagogues — more specifically, ancient worship places around the world in comparison with contemporary architectural practices. Local sculptor Etty Horowitz will also be on hand to serve as the program’s moderator. The event is free to the public, but space is limited. Interested? Call 817-731-4721 for information or to make your reservation. The main themes of this particular column involve 1) anniversaries and 2) Purim. If you have photos and/or news of either one, please send them along by emailing me at awsorter@yahoo.com. Many years ago, I was asked to add a “Jewish value” to the weekly notes for junior basketball players at the Aaron Family JCC. With junior basketball at the J going strong, I have looked again at these values. It is an interesting challenge to look at values and competition. As I continue to read the sports page, I think more and more about how we can teach our children important values that are in line with the competitive spirit. Here are a few of my favorite “Jewish Sports Values.” I continue to struggle with this: Is it ethical to foul someone on purpose in basketball? It certainly opens up great conversation with the children. For the opening week of junior basketball, let us remember this very important Jewish value of welcoming others. This can include welcoming new members of your team, showing hospitality to visitors in the stands and, most important, creating an atmosphere of kindness toward all who come to play, watch, coach and officiate. An important value in life and certainly in sports is the value of shmirat lashon. The rabbis teach us so many lessons on the importance of watching our words — both the ones we say and the ones we listen to. In the heat of a game (or in the heat of anger), we often say things that we wish we could take back, but once the words are out, the damage has been done. We all know this but it is so hard to control. This is an important value in all areas of life, but how does it relate to basketball? Basically, this value can be translated to “put on a happy face.” When we show the world a smile, we usually get smiles in return. On the court, let us not show our competitive face looking angry. Competition is fun and our faces can show that — and when our faces show smiles, our spirit changes. The first meeting of the National Council of Jewish Women Greater Dallas Section took place Wednesday, Feb. 26, 1913. Its 100th birthday luncheon will occur exactly 100 years later — Tuesday, Feb. 26, 2013 — when the chapter will honor a century of leadership, advocacy and community service in Dallas. The luncheon will take place at noon at the Hilton Dallas Lincoln Center, 5410 LBJ Fwy. in Dallas. 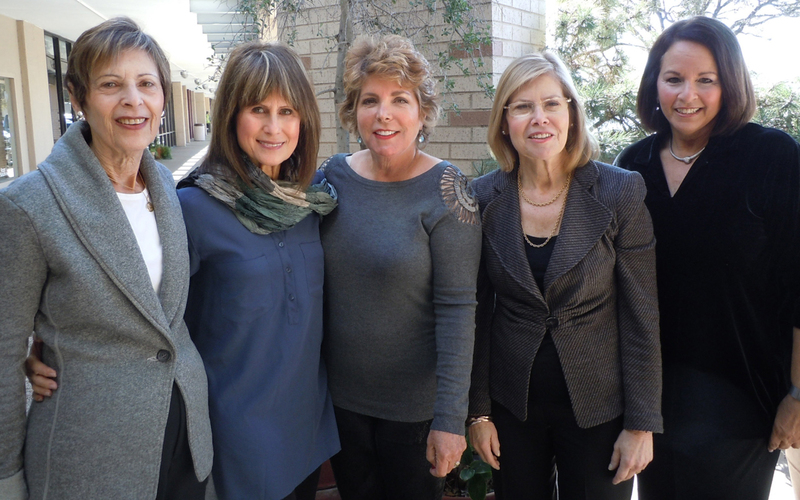 At the event, the past presidents of NCJW Dallas will be honored, a historical video will premiere and journalist and keynote speaker Laura Ling will discuss how she has advocated for women’s rights over the years and relate her experience of being detained in North Korea in 2009. 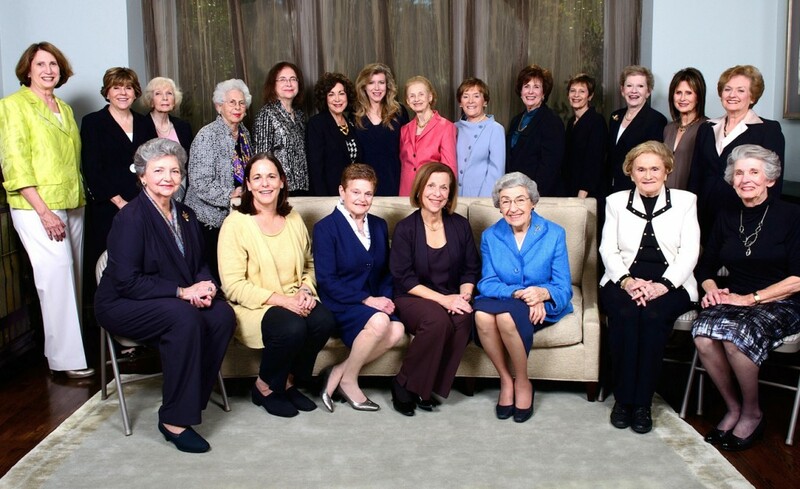 NCJW’s Dallas section started with 75 women who met at Temple Emanu-El and were committed to community service, past president Barbara Lee said. Volunteer projects were under way by 1914, and they included immigrant aid, medical inspection of schools, day nursery and free kindergarten. The Dallas area’s first after-school program. A recreational club for seniors. First Family Outreach, which counsels families at risk and works to prevent child abuse and neglect. Establishing HIPPY (Home Instruction Program for Preschool Youngsters) in Dallas. Co-founding the Greater Dallas Coalition for Reproductive Freedom to combat threats to the U.S. Supreme Court’s Roe v. Wade ruling on abortion. Today, the Dallas section is involved with various community service projects, including Attitudes for Attire; Hello Israel, which introduces students to the country; the Immigration Citizenship Initiative; and the Vickery Meadow Food Pantry. It also supports Israel by laying the groundwork for social changes and continues to advocate for women’s issues. Being a Jewish woman today means supporting Israel and leading by example, said current section president Robin Zweig. These two elements are what will continue to make the organization thrive for the next 100 years, she added. The luncheon is the major event to celebrate the centennial, but the organization will also conduct smaller centennial-related events throughout the year. The year kicked off with a day of community service last month at various organizations. Other events planned are NCJW Shabbat celebrations, study groups and a Chanukah party in which 100 menorahs will be lit. A centennial history exhibit and a centennial quilt will debut at the luncheon. NCJW Dallas was one of the first women’s organizations in the area, Lee said, adding that the committed volunteers and passionate women in the community are also what have made the organization what it is today. Tickets for the luncheon cost $125 each and sponsorships are available. RSVP and payment are due by Feb. 18. For information and to RSVP, call 214-368-4405 or visit www.ncjwdallas.org. We recently had a loss in our family, and the observant children of my cousin ripped their garments at the funeral. I have seen people pin a “torn” piece of garment onto their jacket as a sign of mourning, but not actually tear the garment itself. What is the significance of this custom? What you noticed is actually not a custom, rather one of the basic tenets of mourning in Jewish Law (“Code of Jewish Law,” Yoreh Deah Ch. 340 pp. 1-39). This law has numerous sources in the Torah and Prophets, as well as in rabbinic writings. One of the first examples in the Torah is that Jacob rent his garments when he heard Joseph had been killed, (Genesis 37:34; see also 37:29, II Samuel 13:31, II Kings 6:30). “K’riya,” or tearing one’s shirt and/or jacket, is a core Jewish response to tragedy, especially the loss of a close relative. Today, it is customarily performed during the funeral, although at times it is performed upon receipt of the news of the passing, such as if one cannot be present at the funeral. There seems to be a dichotomy of faith at the time of k’riya. On one hand, a blessing is recited upon the act of tearing: “Blessed are You, God, King of the Universe, the True Judge.” This affirms our trust and belief in the almighty that this loss was not senseless, but that God in His infinite wisdom has deemed it the right thing at this time. On the other hand, k’riya expresses the deepest pent-up emotions of loss and sorrow. This is not a contradiction. Judaism recognizes that mourners — despite their faith — still need to express pain, grief and, at times, anger. This powerful, symbolic act gives expression to all those emotions. It is, says the Talmud, a tremendous relief for the soul of the mourner. Tearing one’s shirt or jacket also symbolizes the annulment of personal dignity and disregard for adornment and pleasure at this moment of loss. There is a deeper Kabbalistic message, as well. K’riya dramatically expresses our recognition that the body is merely the “clothing of the soul” and our belief that the soul lives on for eternity. It is only the body that has been torn away from them and us, but their spiritual essence remains. The gentile world of old was accustomed to tearing their very flesh when a loved one departed, symbolizing a finality of the loss by leaving a permanent scar. The Torah forbids us to cut our skin in this manner (Leviticus 19:28). This is because we believe every death is actually a birth — into another world, where the soul lives on. By renting our garments and not our bodies, we express this belief that the loss is not final. This is also the reason that wearing black at the funeral or shiva is not a Jewish custom, as it is in other religions. (This non-Jewish custom has been mistakenly adapted by many Jews.) The loss is not final or eternal, which black clothing represents, and we have faith in the “true judge” that all is not “black,” but there’s a hidden goodness even in the worst occurrences. The Talmud states that k’riya is performed not only to mourn a close relative, such as a parent or sibling, but also when any fellow Jew passes away, even if there was no connection. The Talmud equates being present at the passing of a fellow Jew to being present if a Torah scroll was burned, a tragedy that also necessitates k’riya. K’riya is also performed if one’s rabbi/mentor of many years passes. This is much like one would tear k’riya for one’s own parent, as the Torah equates a Torah teacher to a parent. K’riya also applies to one who sees the destroyed Temple mount in Jerusalem, the symbol of our exile and all its tragedies, if one has not seen it for a while. We do this when going to visit the Kotel for the first time on a trip to Israel. Unfortunately, this practice, which has been the Jewish way of mourning for millennia, has been abandoned by many, replaced by the pinning of a torn black ribbon. Besides having no source in our literature or tradition, this act does nothing to help one cope with grief. One clinical psychologist, an observant woman, said many who have abandoned k’riya and traditional Jewish mourning end up in her practice when, she believes, many of them would not have needed her had they allowed their emotions to be fully expressed through our time-tested and timeless laws of mourning.